A few years a go I reviewed the US Army armor doctrine during WWII and wrote a short analysis on the doctrinal use of tanks. I don’t think the issue has been discussed in detail on this site (or, if it has, I’ve missed it), but it certainly has some relevance. I’m working from memory here, but I think the following is representative and accurate. In short, tank vs tank engagements were very low on the list of doctrinal roles for US medium tanks. 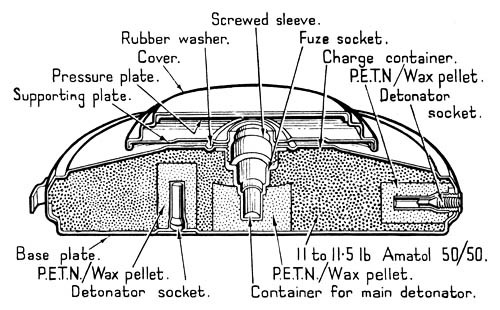 For instance, in the Armored Force 1942 tank battalion manual (FM 17-33), the emphasis was on tearing through the enemy’s soft rear areas. The fact is that of the 7 doctrinal roles for tanks, tank vs tank engagement was the last doctrinal role mentioned. In fact, in a 134 page manual, the first real discussion of tank vs tank engagements was on page 107. It consisted of a single page of text and four of diagrams. The text makes it clear that such engagements were only to be undertaken when surprised (i.e., you have no choice), or when necessary to break up an enemy attack or counterattack. So the whole issue of Shermans against the other tanks is something of a distractor for the very good reason that this kind of engagement was low on their priority list. As we know, the tank killing role was given to the tank destroyer community (for better or worse). 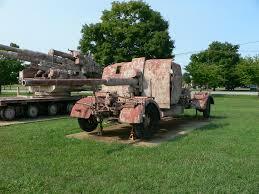 And equally, the significant threats to Shermans saw German armor placed far down the list. Thanks for the link, I’ll have to read through that ASAP. 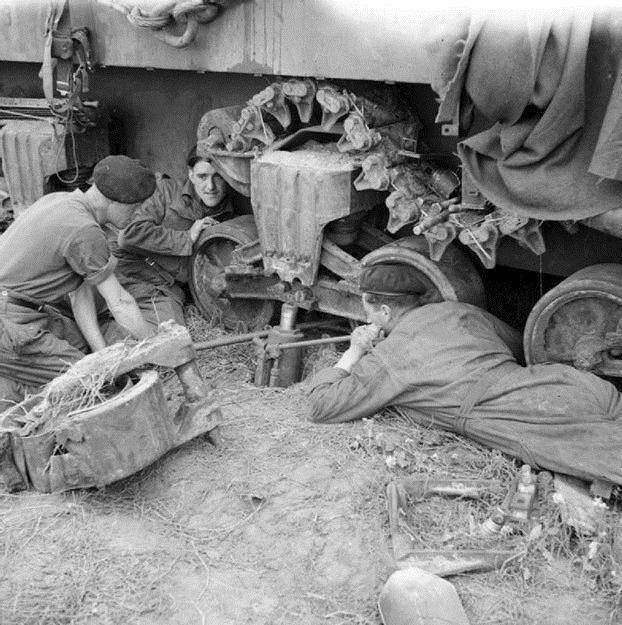 On the the 88 Flak18/36/37, it was a pretty good anti tank gun, but it was designed as an AA gun, and really wasn’t all that good in that role. It also had some limitations as an AT gun. The main ones being it was big and heavy and required special equipment to move around. It was tall and hard to dig in, and also much harder to hide than a traditional AT gun. Even with all these limitations, and under the right circumstances, it was deadly weapon system, and the Germans were good at using in that way. We have an advantage over the men who faced these weapons in combat, often just calling any big gun shooting at them an 88, because we have decade upon decades worth of research by various writers we can use. Still, I am by no means an expert, I’m just a guy who really likes the Sherman and has read an an awful lot about it. After I read through the report, I may even change my mind! I’ve read something about the US smokeless powder being not all that smokeless. The only case I can remember the details on was the Marines on Guadalcanal complaining about the smoke giving the positions away. I vaguely remember reading a similar complaint in the ETO, and I have no idea if we ever changed our smokeless powder recipe. I would be shocked if we didn’t, at least once or twice though, so much changed during those four years of war. Thanks again for the link, I’m a PDF hoarder, and I really wish I had more time to read.